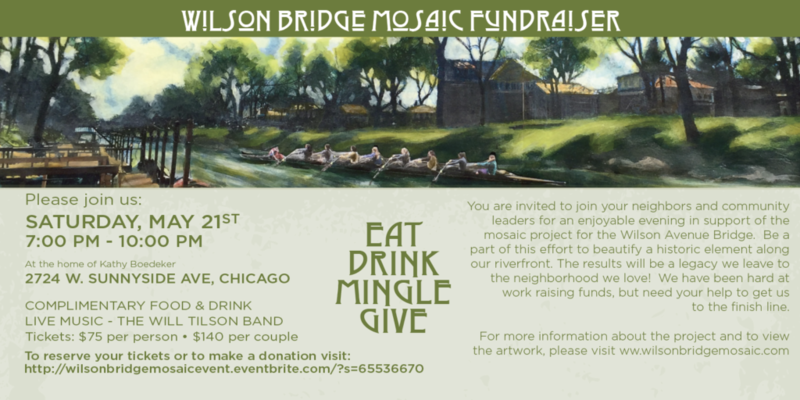 Join your neighbors for the Kick-Off Fundraiser for Wilson Bridge Mosaic project! The Wilson Bridge needs our attention. Let’s replace the weeds and chipped paint with mosaic panels that will be a lasting legacy. Enjoy Cocktails, Buffet Dinner and Live Music under the tented patio of your generous host Kathy Boedeker and Russ Pallesen. This is a community event that needs your enthusiastic support… purchase your tickets today!